What do the party manifestos mean for the bus? With manifestos published and the general election a matter of days away, it feels timely to assess how far the main political parties have recognised the vital contribution the bus makes to society and the wider economy. From the Greener Journeys perspective, the first point to make is that we obviously welcome the fact that all political parties have committed to protecting the bus pass. This cross party commitment was by no means certain a few months ago. When we launched our campaign to protect the bus pass, there was much debate across the political spectrum about whether older and disabled people should be entitled to free bus travel in an age of austerity. Quite a head of steam had built up around the idea that concessionary travel should be means tested or abolished altogether. The KPMG analysis, which importantly followed the Department for Transport’s own guidance on economics appraisal, concluded that the schemes deliver high value for money. The message we were able to deliver at the party conferences was that every £1 spent on the schemes generates at least £2.87 in benefits to the wider economy. Not only have all major parties committed to protecting the bus pass, but also they won’t be subjecting the scheme to means testing. The Conservatives have promised to protect the bus pass. Labour have pledged to make no changes to the bus pass – even though they will means test the winter fuel allowance. The Liberal Democrats will means test both the winter fuel allowance and free TV licences, but they have promised to retain the free bus pass for all. As well as the main Westminster parties, the SNP, UKIP, Green Party and Plaid Cymru have all pledged their commitment to the bus pass. On buses more generally the Conservatives have disappointingly little to say. Both Labour and the Liberal Democrats highlight the fact that two thirds of all public transport journeys are by bus. The Liberal Democrats have pledged to carry out a review of bus funding and policies, and to introduce a five-year investment plan to give the industry and Local Authorities certainty and to help plan investment. They are also committed to a young person’s discount card, to supporting smart ticketing and to building on the Total Transport pilots. Devolution been embraced by all the main parties. The Conservatives are committed to creating a Northern Powerhouse, and to backing elected metro mayors. Labour has pledged to embark on the “biggest devolution of power” to cities and county regions in a hundred years with an English Devolution Act and a pledge to transfer £30 billion. They will devolve power to these regions over the way buses are operated. The Liberal Democrats will also support local areas that want to bring forward plans to regulate their bus network. And they have pledged to build on the City Deals and Growth Deals, and to devolve more power and resources to groups of Local Authorities and Local Enterprise Partnerships. 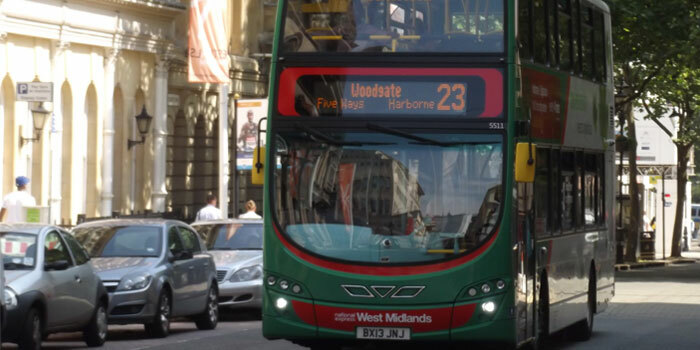 Whilst devolution presents the opportunity for buses to play a pivotal role in plans for local growth, a key risk Greener Journeys has highlighted is that essential bus infrastructure spend could suffer, with serious consequences for local economies. The problem is that recognition of the contribution the bus plays is very low in many areas. This was evidenced in the first round of Growth Deals. Bus projects made up a much smaller proportion of the total schemes than the final group of directly Government-funded schemes approved in late 2011. Congestion is a serious constraint on growth, costing the UK economy at least £11 billion a year. We need more investment in local bus infrastructure and selective priority measures, because these make transport networks work more efficiently. Analysis by KPMG shows that targeted investment in selective bus priority measures typically generates £3.32 of net economic benefit for each £1 of cost incurred. The imperative now is to ensure that this benefit is fully understood by local decision makers. This is why Greener Journeys will continue to apply pressure on the next Secretary of State for Transport to issue a National Statement on Local Bus Infrastructure. Whoever is in Number 11 post-election, we know that more cuts to public spending will be on the way. We are only half way through reducing the deficit, and the Chancellor’s final budget laid out cuts of a further 20% to non-protected government departments over the next three years. Labour too have committed to fiscal responsibility and to reducing the deficit every year. One of the most eye-catching proposals in their manifesto was the “budget responsibility lock”. We in the bus sector will need to work harder than ever to make the case for the bus. And to continue to speak with one voice about why buses are so important.